CoreNet Global drew over 2,000 CRE professionals to Washington, DC last week for their annual North American Summit. The hottest topic to emerge? People. Our favorite session was “The Psychology of the Healthy Workplace,” presented by Sally Augustin, Ph.D., an environmental neuroscientist and the brains behind Design With Science, which researches things like how the color of light and the height of a ceiling affects us all psychologically; and Cristina G. Banks, the director of Berkeley’s Interdisciplinary Center for Healthy Workplaces. There, they look at neuroscience across many fields to figure out what we know about the factors that affect health and wellbeing, what we don’t, and how we can incorporate that knowledge into the workplace. Even small things, like color saturation and the scent of lemon, can improve cognitive function. More and more, Augustin and Banks emphasized, real estate execs are going to be responsible for health and wellbeing in the workplace. What can they do to shore up their skills? Comfort is linked to job satisfaction and organizational commitment. She said that people are more comfortable when they have control over their experience, a big part of which is “control to access of self” (i.e., privacy). “When we don’t have access to privacy to order our thoughts our brains start to ‘skip’ like a record,” she said. “Focused work exhausts the brain,” she added, and spaces that comfort include pleasing aspects that help us to restock our mental energy. How can individuals who use the space add the most value. “Good space supports the task at hand,” said Augustin. Even small things, like color saturation and the scent of lemon, can improve cognitive function. 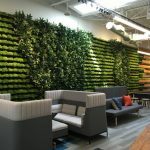 A “challenging” space contributes to the growth of the employees and the business and can support that growth. This refers to both continuing the professional lives of its inhabitants and to space that feature positive sustainable aspects. Both presenters also emphasized the need for a variety of spaces to balance out the swing toward wide open offices. “Who could write the Great American Novel in the middle of Grand Central Station?,” said Augustin. In order for people to “recharge” in the open workplace, she added, a variety of space choices is crucial. Of the Summit as a whole, Sargent added that attendees were brimming to share ideas and experiences that reflect this. “Human-centric design was a reoccurring theme,” she said. Previous articleUpcoming Webinar: Is the Design Boom in San Francisco a Vast Right Wing Conspiracy?